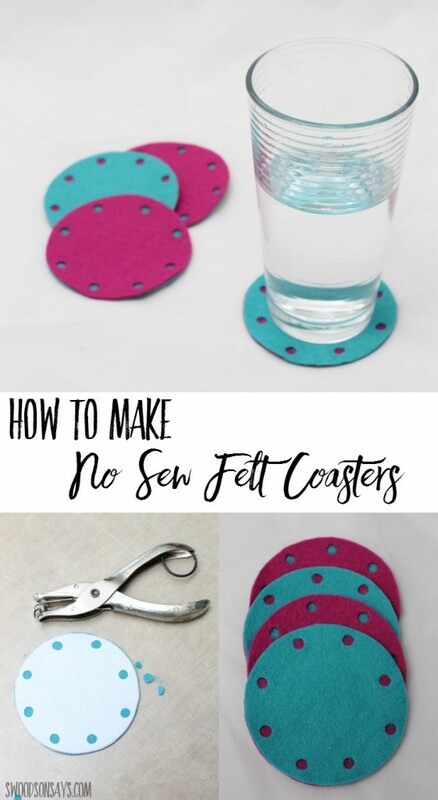 Check out the tutorial for how to make felt coasters, made by Stephanie at Swoodson Says. These coasters are a quick and easy project made with felt. I love a good no-sew project, and these look super easy to customize by choosing whatever colors you like best.